It’s official, we’ve finally made it into the future. 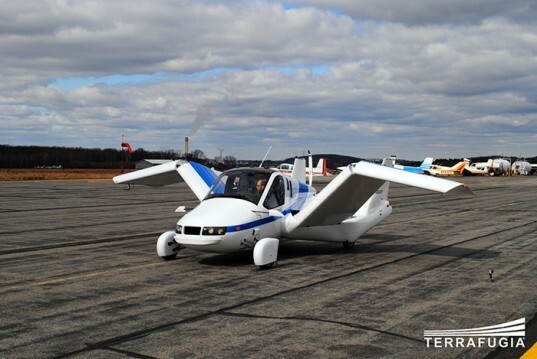 Childhood dreams of flying cars are a reality at last, thanks to Terrafugia, who have designed and just demonstrated a new car that can actually fly! They revealed their prototype at the EAA AirVenture airshow in Wisconsin last Wednesday and just as planned, the car went from land to air and back again without any trouble. They’re calling it the Terrafugia Transition, and with good reason. 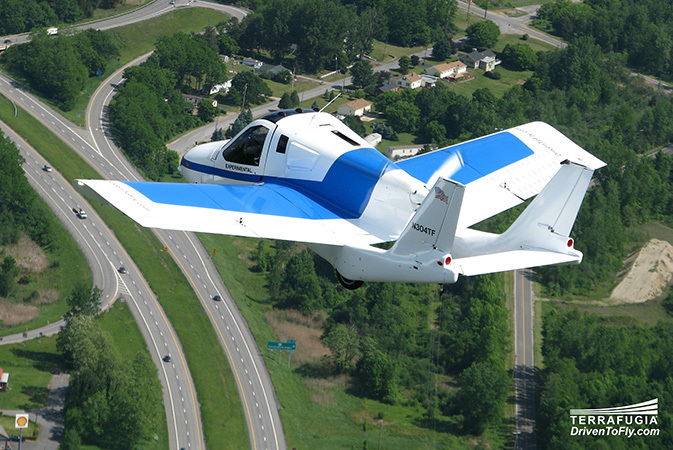 The vehicle transforms itself to a mode for flying and back with ease. The demonstration offered two laps around the course, one on the ground, and one in the air. The entire demonstration, including the transition from car to plane, went like clockwork, which bodes well for the future potential of flying vehicles. While it may not be the ultra-futuristic flying car that science fiction has shown us over the years – it looks quite like a plane with its wings folded up when in car mode – it is real, and the demonstrations show that it works like a charm. And to top it off, when in vehicle mode they are perfectly street legal, and they’re expected to be available for a steal – for roughly $300,000. Please contact the design team directly for permission. Thanks. Not the first, and not the most practical either. There is the Moller skycar which has been around for a bit and is a VTOL aircraft, they're working on making it automated so people wouldn't need a pilots licenses to travel in it last I heard. (Their site is moller dot com) Plus I find their Skycar 400 model more nicer looking then this.